LOS ANGELES—Touting the upcoming film as a significant visual leap forward from the previous ones in the series, producers of Jurassic World: Fallen Kingdom told reporters Wednesday that their production includes a more scientifically accurate Jeff Goldblum. 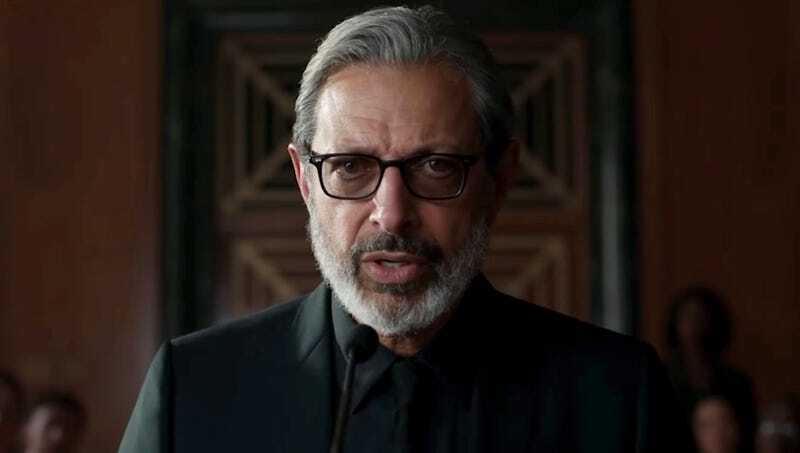 “Thanks to advances in cinematic technology and digital imaging, as well as real-life biological and morphological discoveries made during the years of studying Jeff Goldblum since his appearance in the original Jurassic Park films, the Jeff Goldblum in Fallen Kingdom will be the most authentic-looking representation of Jeff Goldblum to ever appear on a movie screen,” said executive producer Colin Trevorrow, explaining that the filmmakers invited UCLA blumologists to Industrial Light & Magic to ensure that Jeff Goldblum’s features, musculature, coloration, and gait were all realistic down to the last detail. “We’ve always prided ourselves on making movies that look and feel lifelike, and it’s safe to say that Fallen Kingdom filmgoers will be wowed by how real Jeff Goldblum appears in this one. Visual effects have come so far from previous, less natural depictions of Jeff Goldblum, such as in the original Jurassic Park in which Steven Spielberg used two men in a Jeff Goldblum costume. At the same time, exciting finds by experts have enabled us to recreate Jeff Goldblum as he really lived—for example, until recently, we had no idea that he was covered in feathers.” Treverrow also hinted that producers were already planning a Jurassic World sequel featuring a realistic depiction of a genetically modified half-human, half-Jeff Goldblum hybrid.